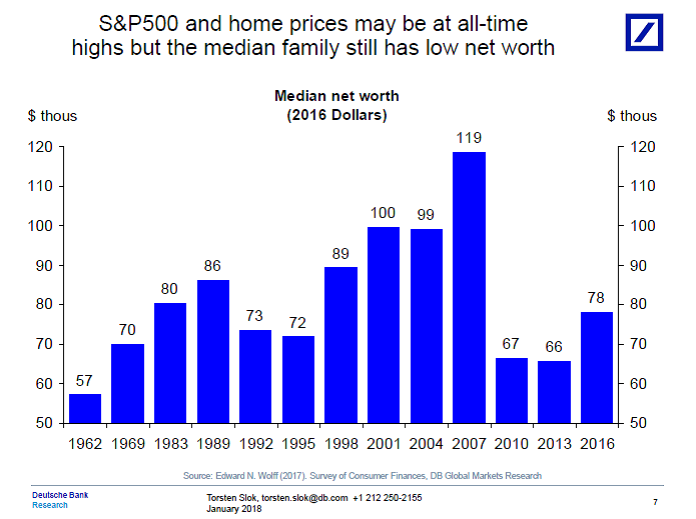 S&P500 and home prices are at record highs, and the unemployment rate is at the lowest level since 2000. 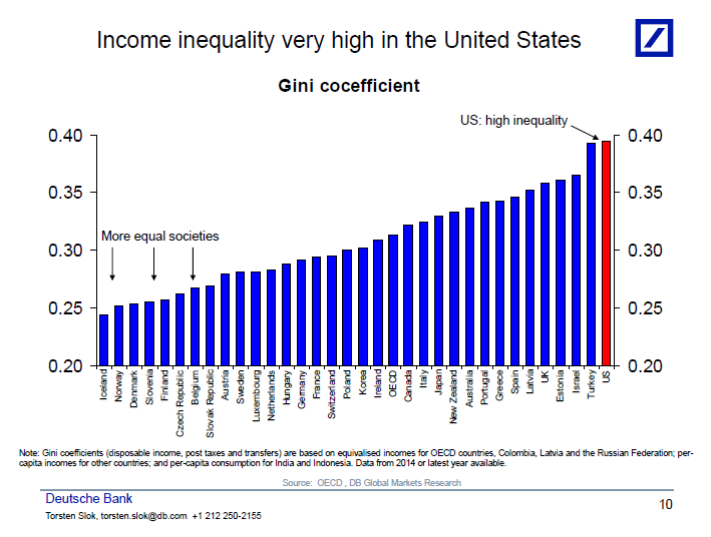 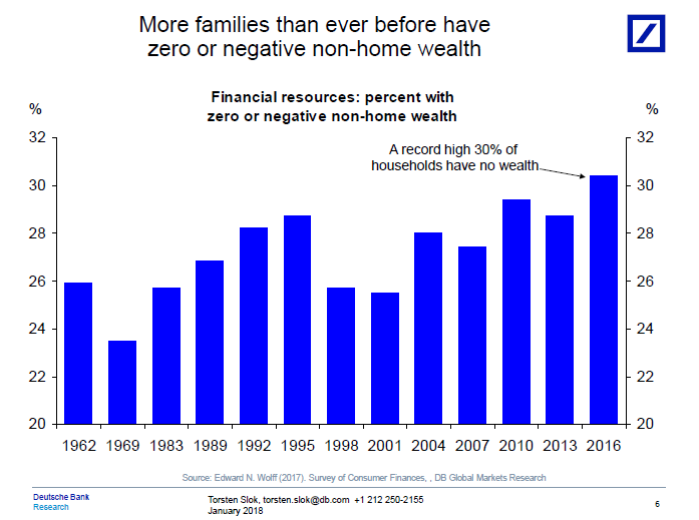 But on some measures inequality in the United States has never been worse, see also here and charts inserted below. 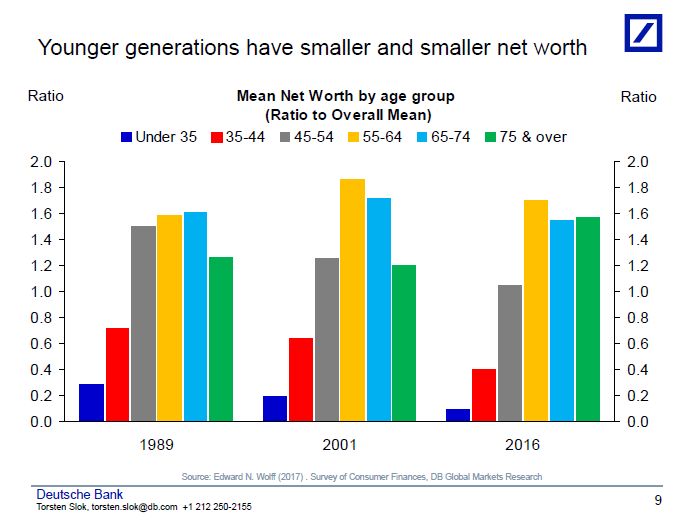 This development, combined with associated populism, could over the coming years become the most important theme for investors in US equities, rates, and FX.